The VOICES Book Nook exists to help fund VOICES of Stephenson County, a not-for- profit agency providing advocacy, therapy and educational services. This includes everything from training young children how to recognize and avoid unsafe people, to providing a hotline, transitional housing, legal advocacy and therapy to domestic violence and sexual assault/abuse victims. VOICES grew out of the local YWCA (founded in 1917) when the organization launched a program to address domestic violence in 1982. The agency now offers domestic violence victims a 24 hour crisis hotline with translators available for 170 different languages (815-235- 1641), counseling, legal advocacy, transitional housing and safety planning. Victims of sexual assault or other abuse can receive crisis intervention at any time, day or night. VOICES staff are available to accompany victims to court proceedings in cases where the crime committed against them has resulted in an arrest. The services of a therapist are available. VOICES also works to raise awareness of abuse and domestic violence in the community. Staff educate children in ways to protect themselves from unsafe people and situations and provide presentations on these issues tailored to anyone from business owners to clergy. The VOICES Book Nook is not only an essential source of funding, but the in-kind donation of time by the volunteer staff counts toward the match for matching grants from foundations and government agencies. Without these volunteer hours and the store profit they generate, approximately $469,000 in grant funds would be lost each year. 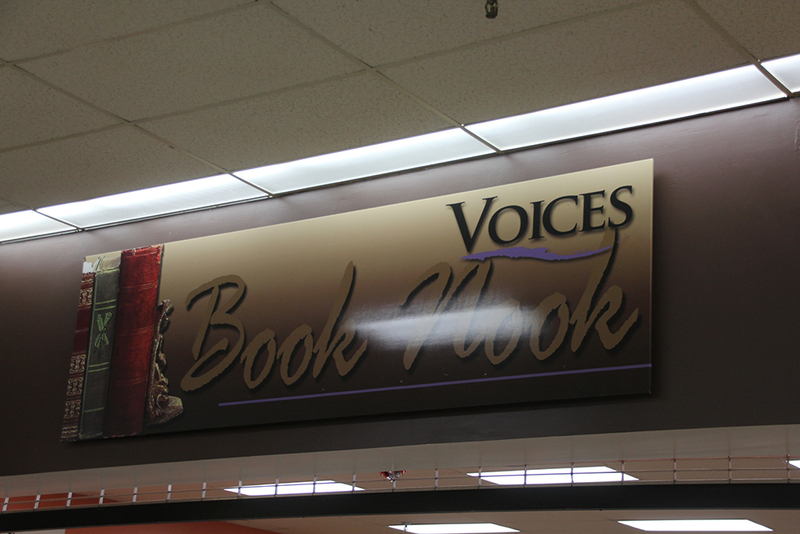 Please support VOICES by supporting the Book Nook. To find out more about VOICES Stephenson County and their work, click here.